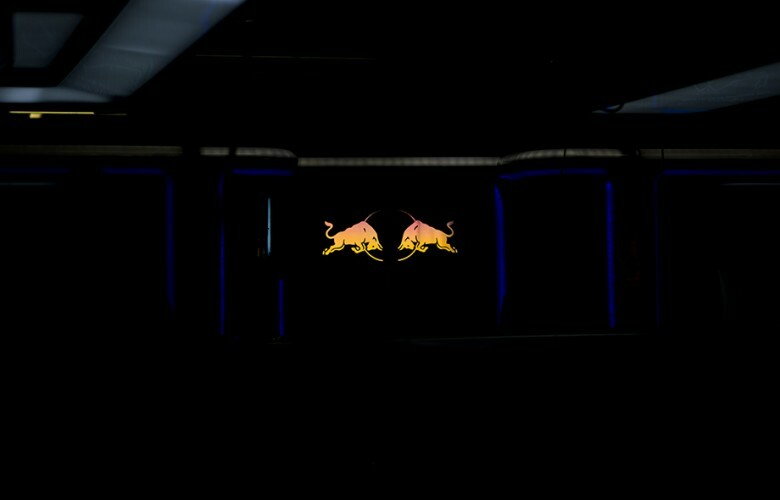 the Red Bull logo is seen inside the garage during previews for the Singapore Formula One Grand Prix at Marina Bay Street Circuit on September 15, 2016 in Singapore. 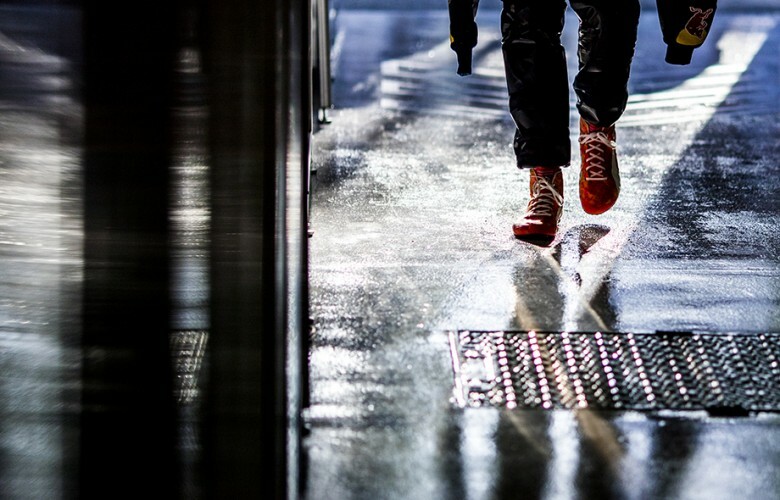 Max Verstappen of Netherlands and Red Bull Racing enters the garage during practice for the Singapore Formula One Grand Prix at Marina Bay Street Circuit on September 16, 2016 in Singapore. 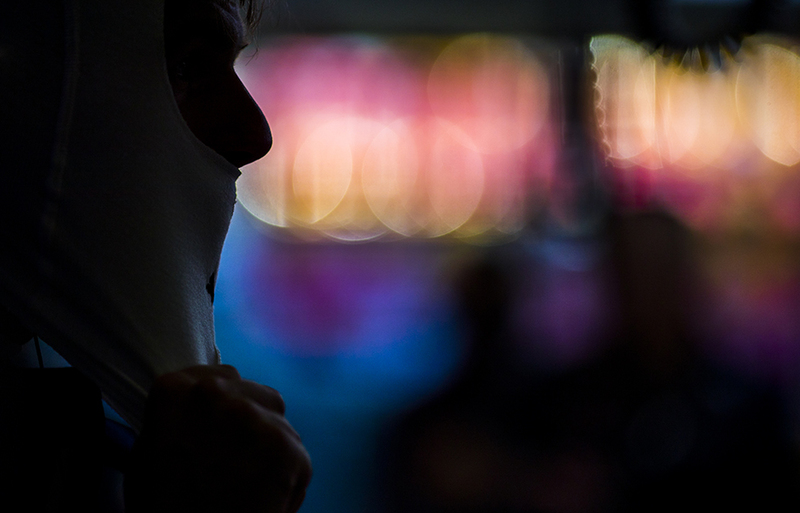 Max Verstappen of Netherlands and Red Bull Racing puts on his balaclava during practice for the Singapore Formula One Grand Prix at Marina Bay Street Circuit on September 16, 2016 in Singapore. 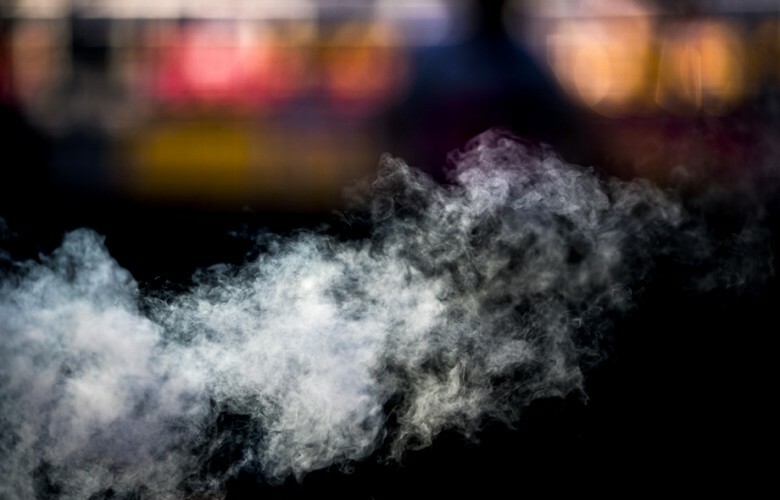 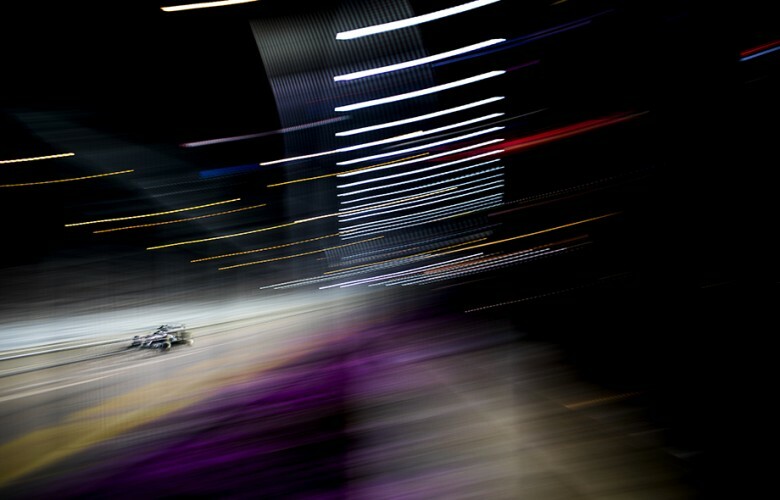 Steam comes out of break coolers during practice for the Singapore Formula One Grand Prix at Marina Bay Street Circuit on September 16, 2016 in Singapore. 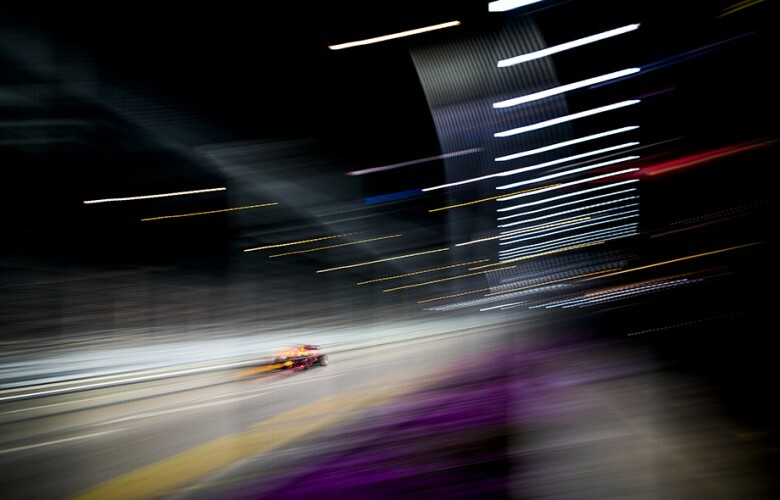 Daniel Ricciardo of Australia and Red Bull Racing drives his RB12 during practice for the Singapore Formula One Grand Prix at Marina Bay Street Circuit on September 16, 2016 in Singapore. 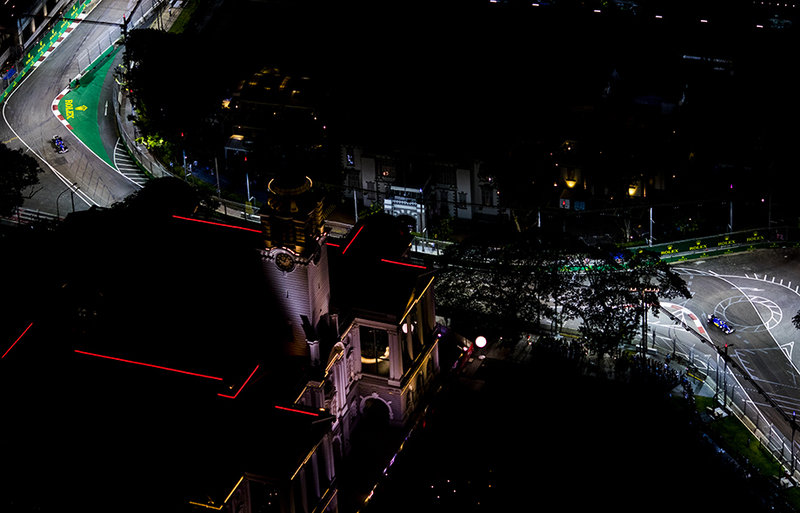 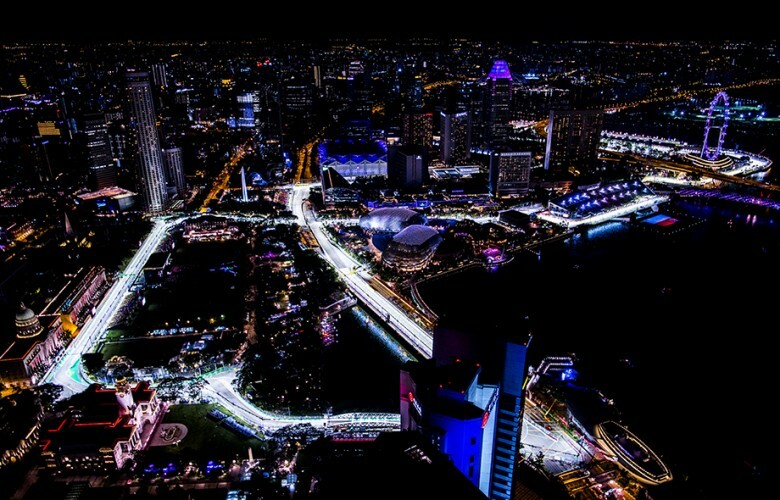 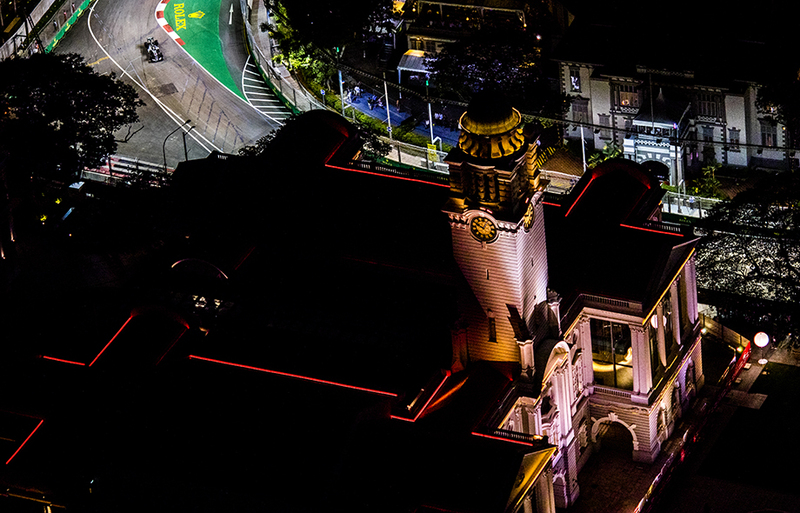 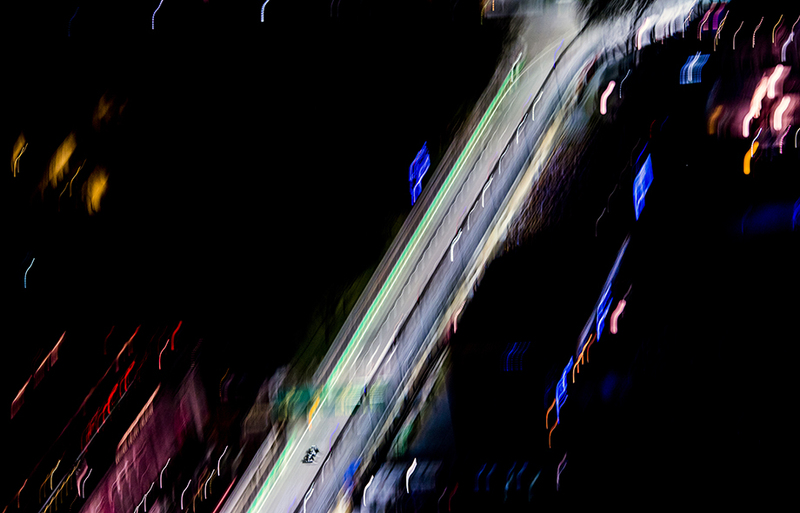 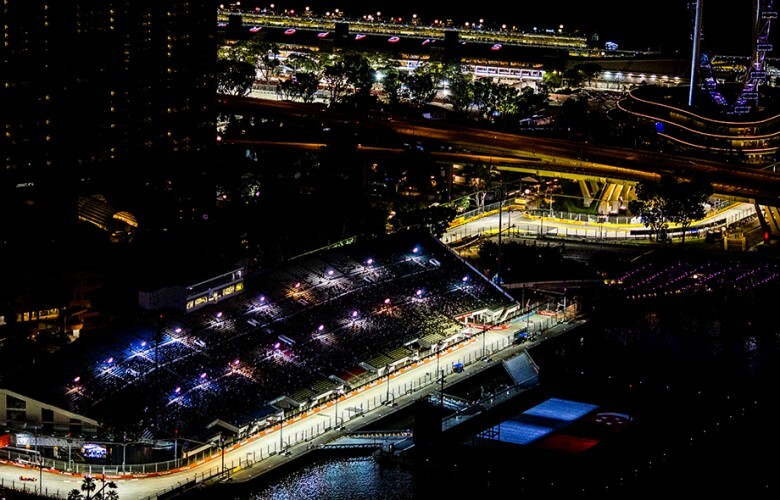 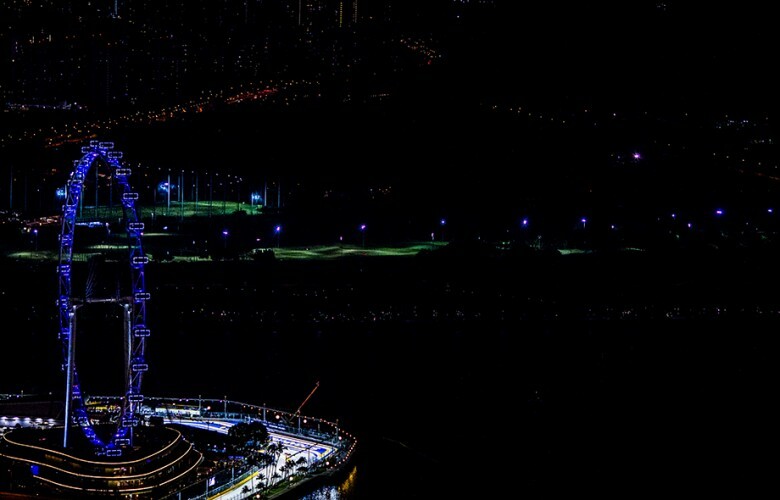 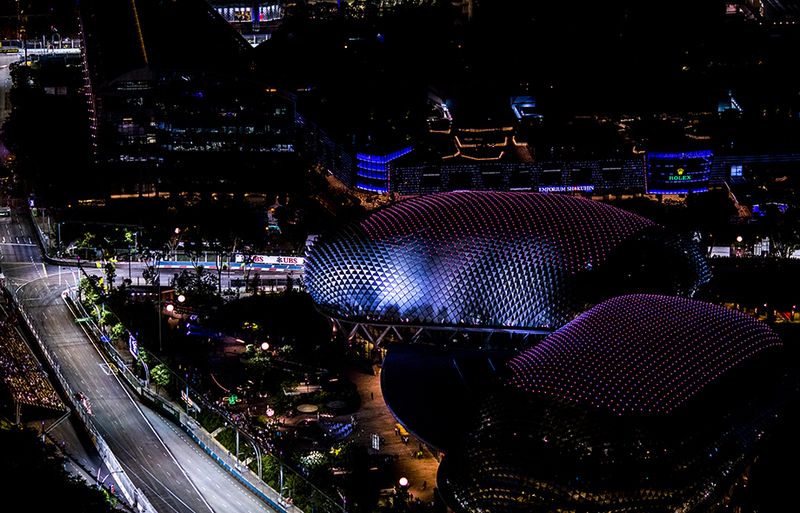 A general view of the Marina Bay Street Circuit is seen during practice for the Singapore Formula One Grand Prix at Marina Bay Street Circuit on September 16, 2016 in Singapore. 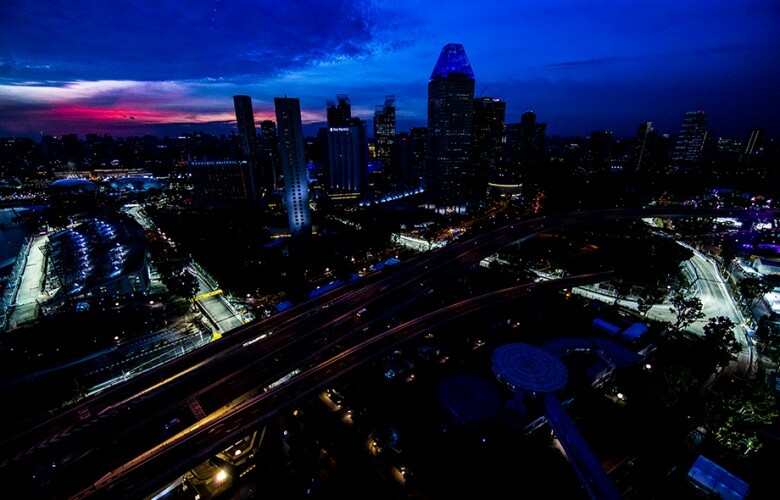 Daniil Kvyat of Russia and Scuderia Toro Rosso drives his STR 11 during practice for the Singapore Formula One Grand Prix at Marina Bay Street Circuit on September 16, 2016 in Singapore. 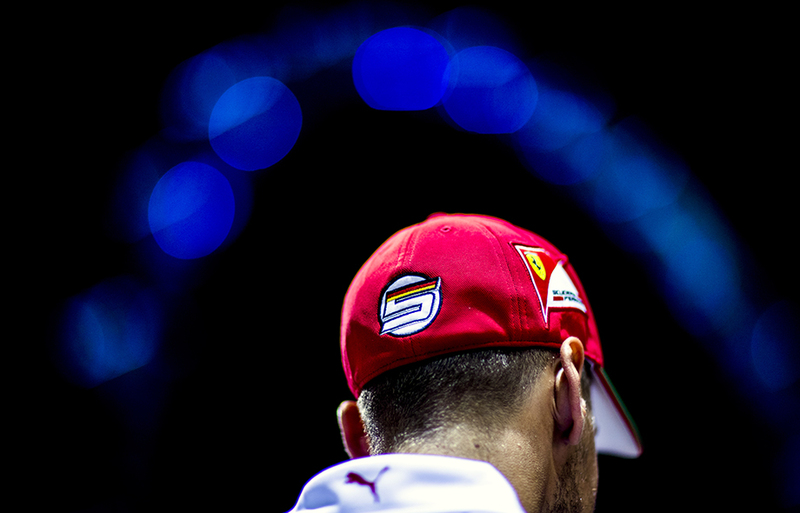 Sebastian Vettel of Germany and Scuderia Ferrari is pictured in the paddock during previews for the Singapore Formula One Grand Prix at Marina Bay Street Circuit on September 15, 2016 in Singapore. 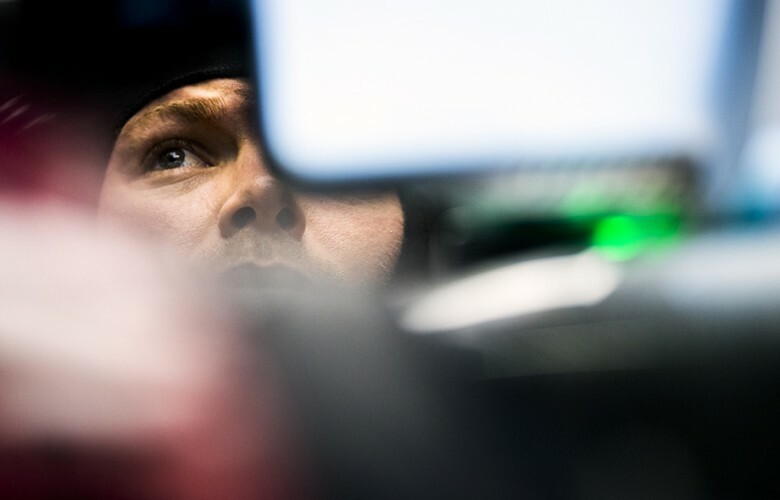 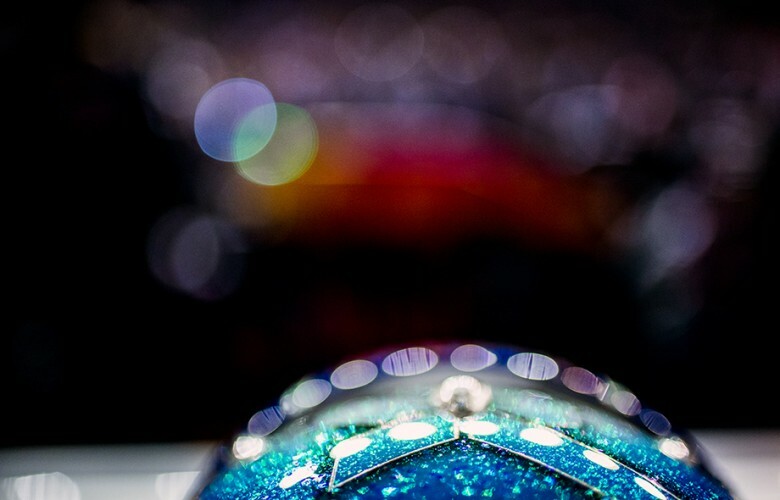 Nico Rosberg of Germany and Mercedes AMG Petronas sits inside his cockpit during practice for the Singapore Formula One Grand Prix at Marina Bay Street Circuit on September 16, 2016 in Singapore. 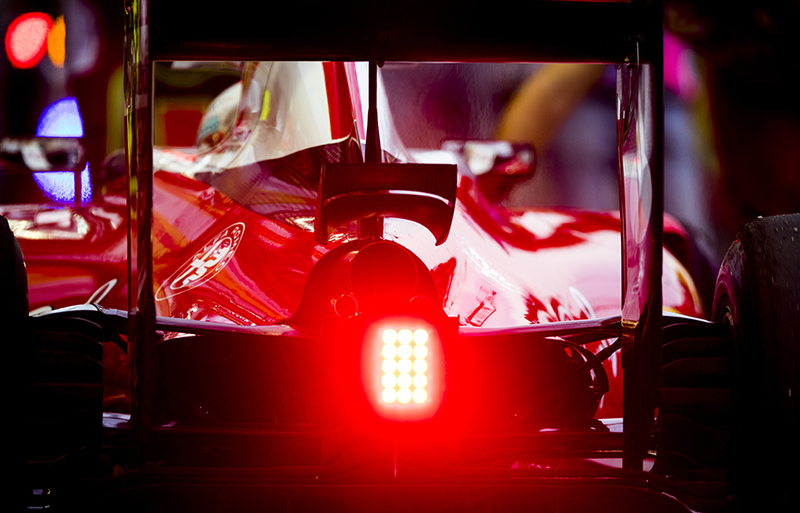 Sebastian Vettel of Germany and Scuderia Ferrari drives in for a pitstop during practice for the Singapore Formula One Grand Prix at Marina Bay Street Circuit on September 16, 2016 in Singapore. 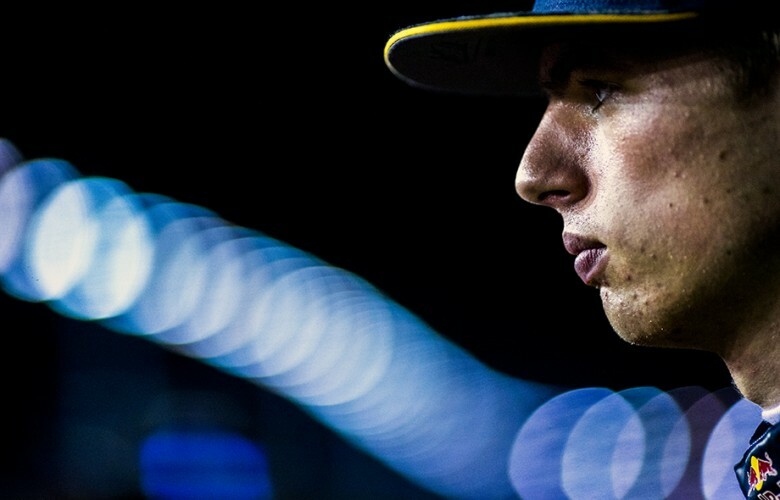 Max Verstappen of Netherlands and Red Bull Racing looks on during practice for the Singapore Formula One Grand Prix at Marina Bay Street Circuit on September 16, 2016 in Singapore. 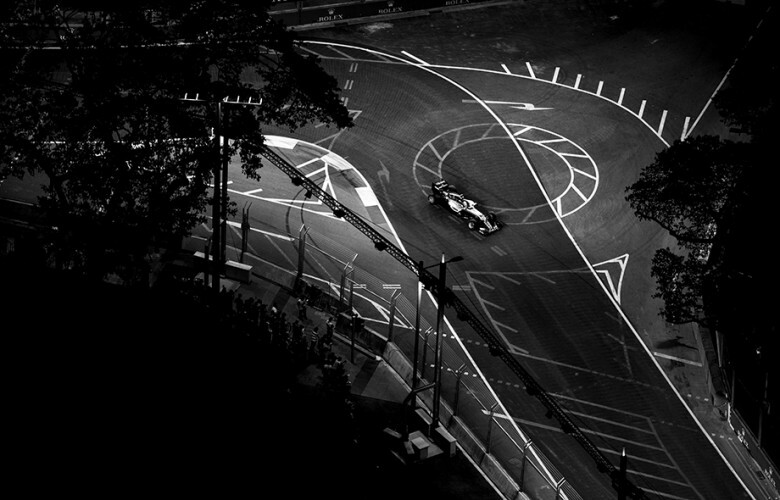 Nico Rosberg of Germany and Mercedes AMG Petronas drives his W07 Hybrid during practice for the Singapore Formula One Grand Prix at Marina Bay Street Circuit on September 16, 2016 in Singapore. Sergio Perez of Mexico and Sahara Force India leads Esteban Ocon of France Manor Racing MRT-Mercedes during practice for the Singapore Formula One Grand Prix at Marina Bay Street Circuit on September 16, 2016 in Singapore. 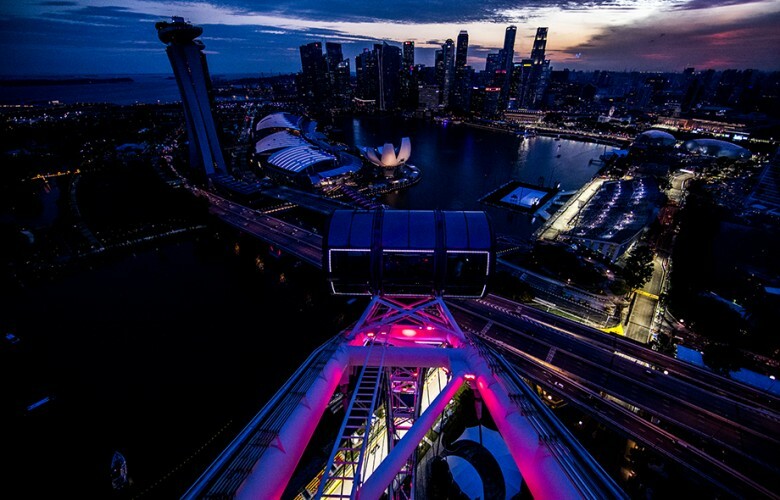 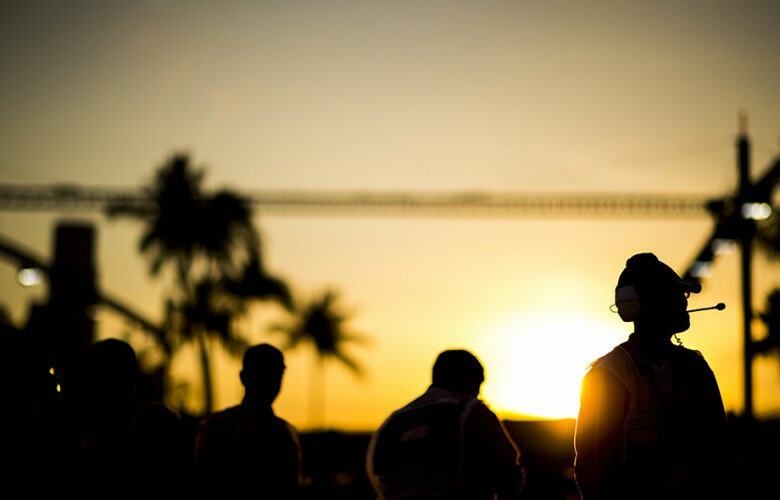 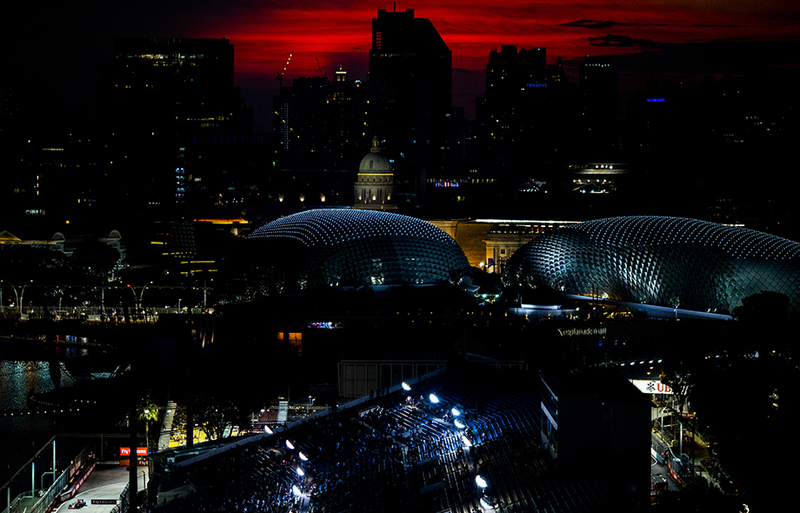 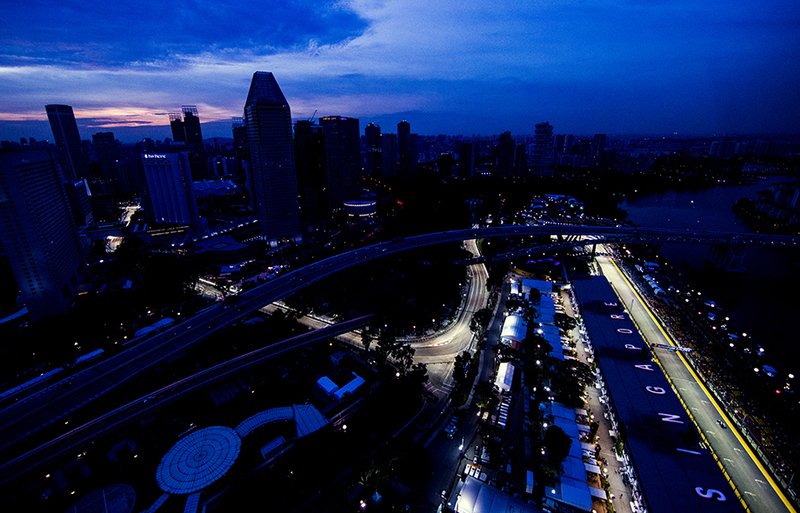 Sun sets down of Singapore during practice for the Singapore Formula One Grand Prix at Marina Bay Street Circuit on September 16, 2016 in Singapore. 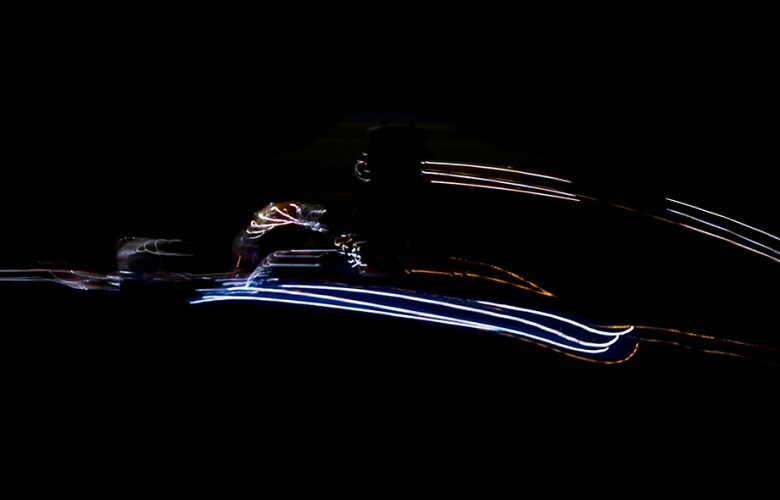 Lewis Hamilton of Great Britain and Mercedes AMG Petronas drives his W07 Hybrid during practice for the Singapore Formula One Grand Prix at Marina Bay Street Circuit on September 16, 2016 in Singapore. 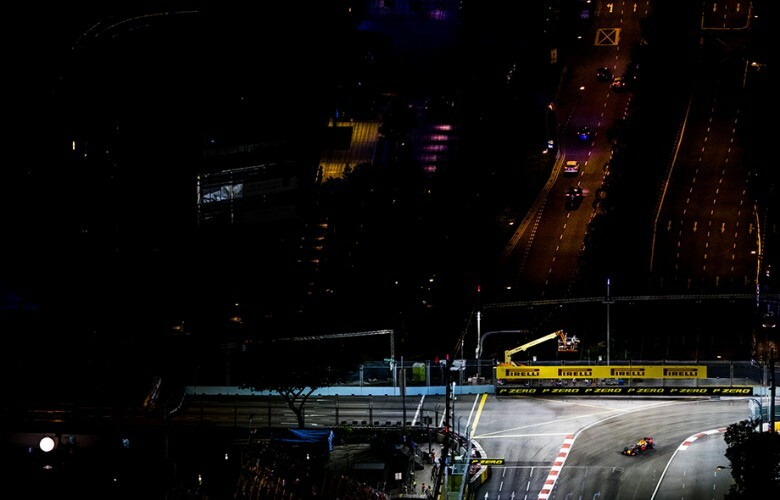 Max Verstappen of Netherlands and Red Bull Racing drives his RB12 during practice for the Singapore Formula One Grand Prix at Marina Bay Street Circuit on September 16, 2016 in Singapore. 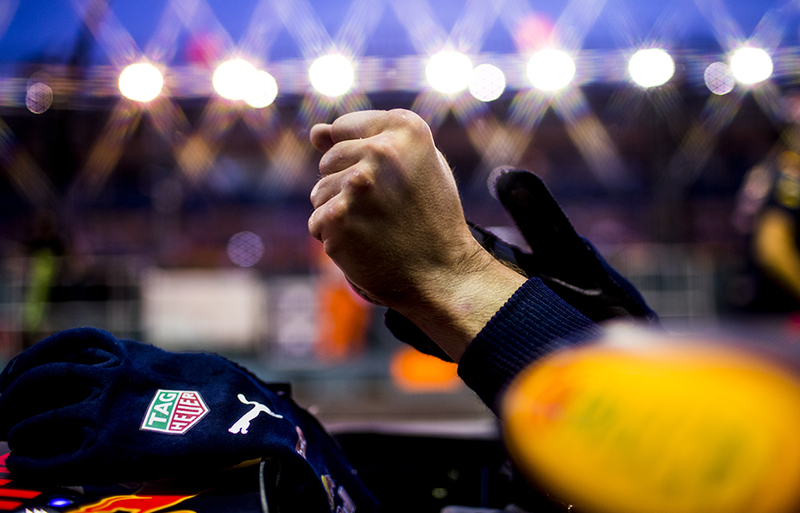 Max Verstappen of Netherlands and Red Bull Racing takes off his racing gloves during practice prior qualifying for the Singapore Formula One Grand Prix at Marina Bay Street Circuit on September 17, 2016 in Singapore. 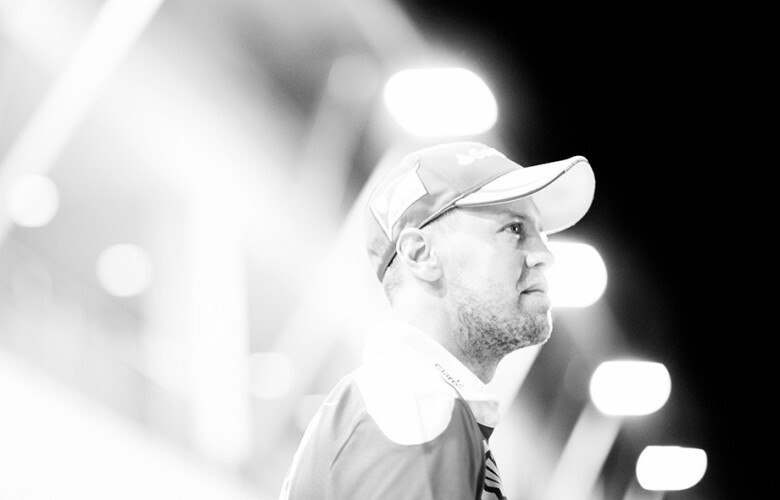 Sebastian Vettel of Germany and Scuderia Ferrari looks on in the paddock during previews for the Singapore Formula One Grand Prix at Marina Bay Street Circuit on September 15, 2016 in Singapore. Jenson Button of Great Britain and McLaren-Honda drives his MP4-31 during practice for the Singapore Formula One Grand Prix at Marina Bay Street Circuit on September 16, 2016 in Singapore. 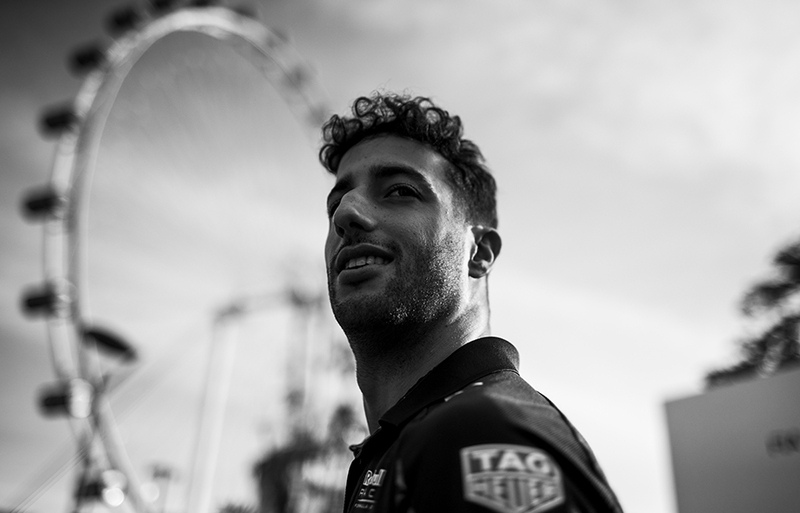 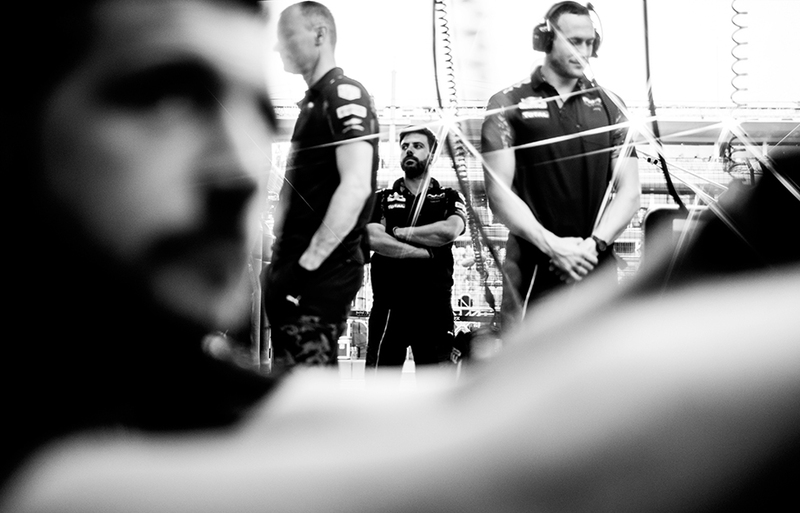 Daniel Ricciardo of Australia and Red Bull Racing looks on during previews for the Singapore Formula One Grand Prix at Marina Bay Street Circuit on September 15, 2016 in Singapore. 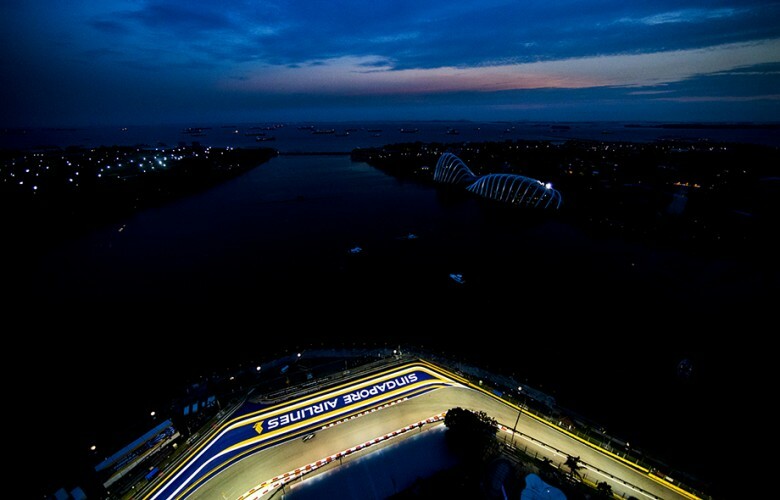 Marcus Ericsson of Sweden and Sauber F1 Team leads his team mate Felipe Nasr of Brazil and Sauber F1 Team during practice for the Singapore Formula One Grand Prix at Marina Bay Street Circuit on September 16, 2016 in Singapore. Sparks come off the RB12 of Daniel Ricciardo of Australia and Red Bull Racing during practice for the Singapore Formula One Grand Prix at Marina Bay Street Circuit on September 16, 2016 in Singapore. 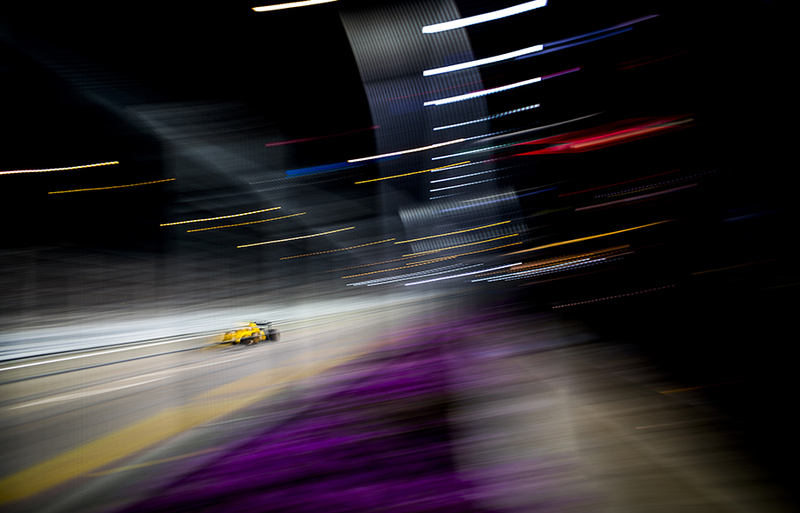 Jolyon Palmer of Great Britain and Renault Sport Formula 1 Team drives his RS16 during the Singapore Formula One Grand Prix at Marina Bay Street Circuit on September 18, 2016 in Singapore. 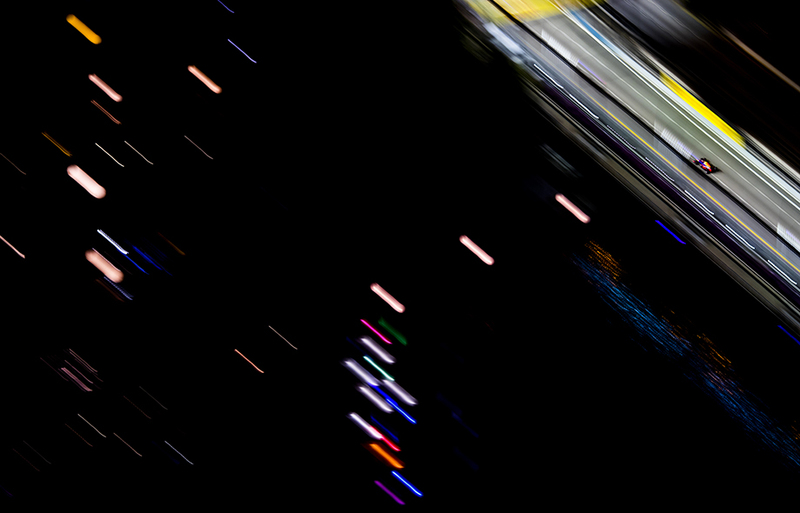 Pascal Wehrlein of Germany and Manor Racing MRT-Mercedes in action during the Singapore Formula One Grand Prix at Marina Bay Street Circuit on September 18, 2016 in Singapore. 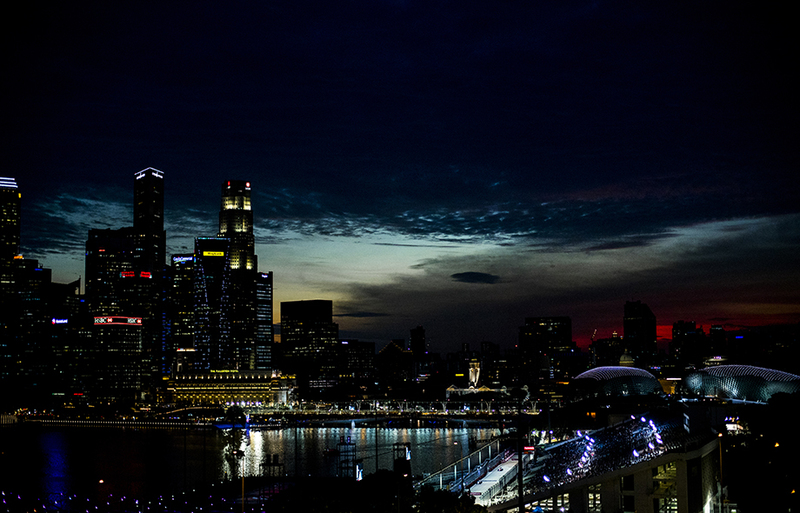 Kimi Raikkonen of Finland and Scuderia Ferrari drives his SF16-H during practice for the Singapore Formula One Grand Prix at Marina Bay Street Circuit on September 16, 2016 in Singapore. 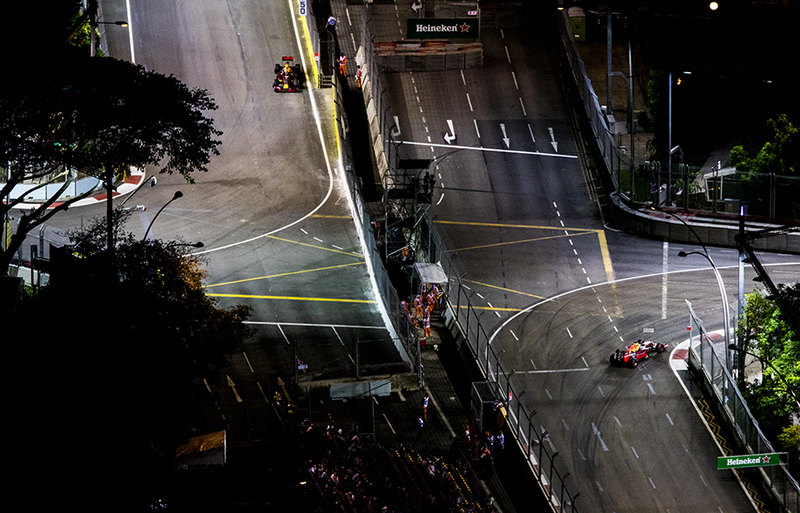 Max Verstappen of Netherlands and Red Bull Racing drives his RB12 during the Singapore Formula One Grand Prix at Marina Bay Street Circuit on September 18, 2016 in Singapore. 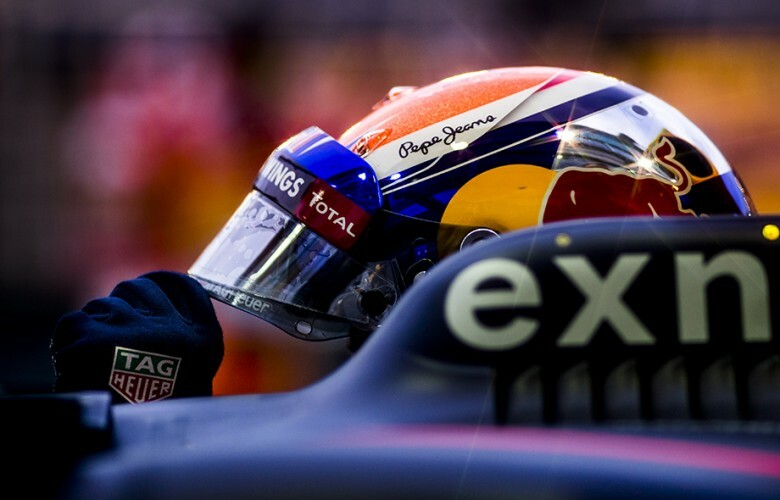 Carlos Sainz of Spain and Scuderia Toro Rosso drives his STR 11 during the Singapore Formula One Grand Prix at Marina Bay Street Circuit on September 18, 2016 in Singapore. 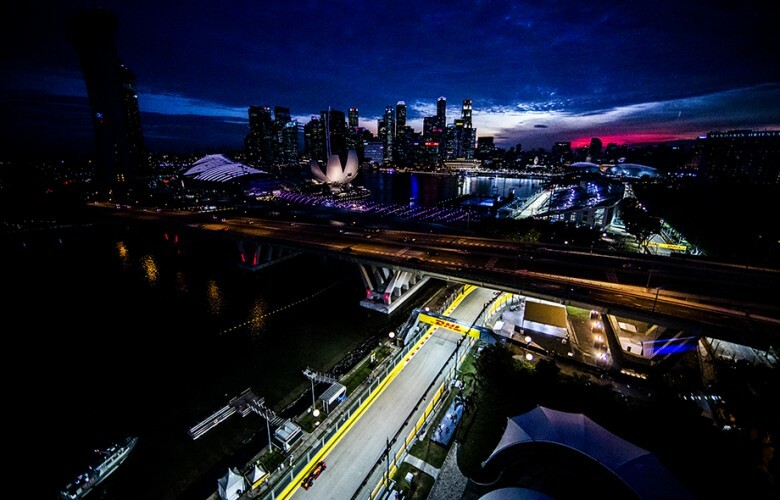 Max Verstappen of Netherlands and Red Bull Racing and Daniel Ricciardo of Australia and Red Bull Racing are seen in action during practice for the Singapore Formula One Grand Prix at Marina Bay Street Circuit on September 16, 2016 in Singapore. Max Verstappen of Netherlands and Red Bull Racing inside his RB12 during practice prior qualifying for the Singapore Formula One Grand Prix at Marina Bay Street Circuit on September 17, 2016 in Singapore. 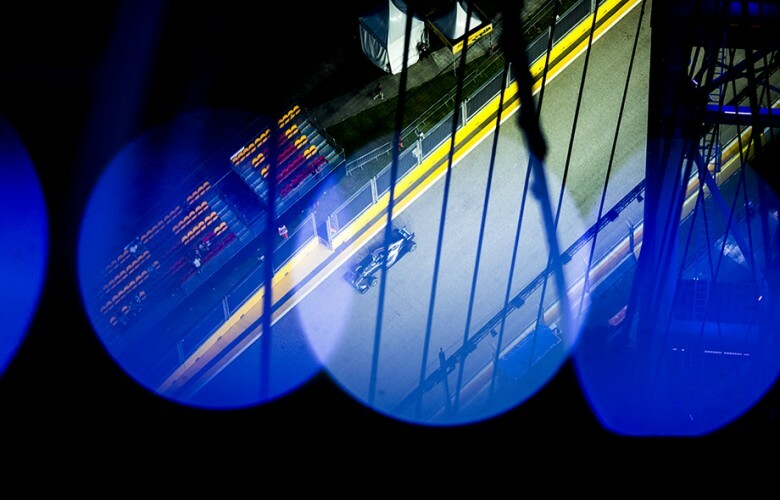 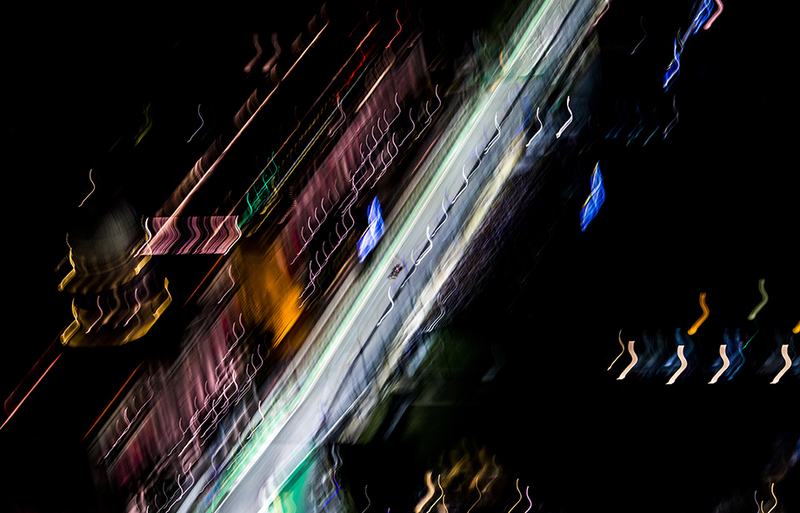 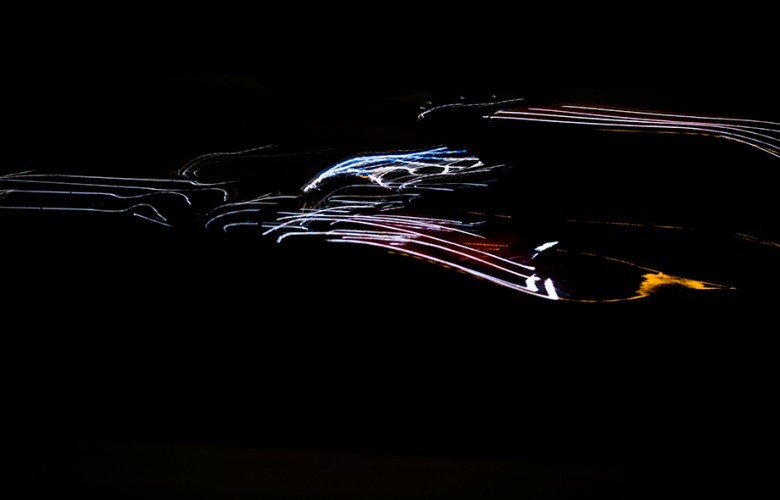 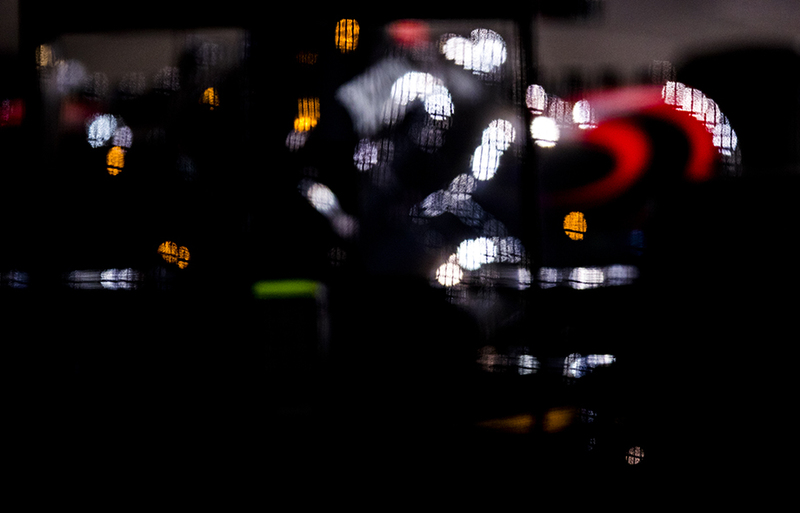 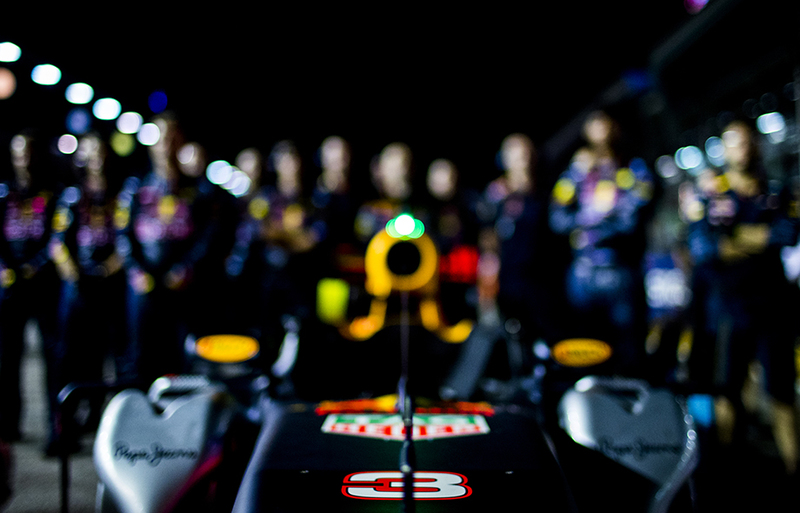 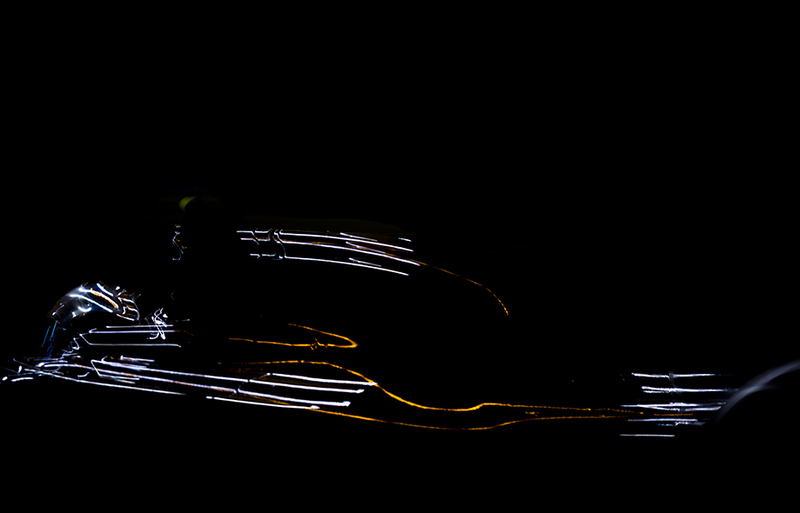 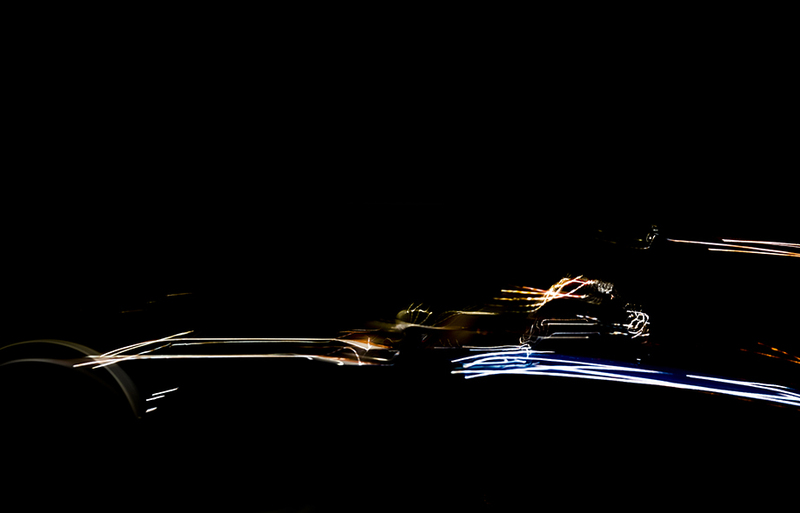 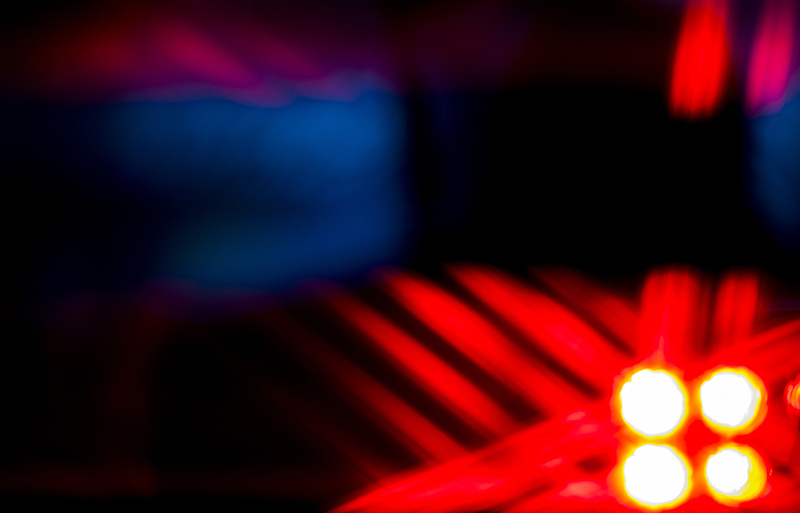 Red Bull Racing RB12's rear light flashes during practice prior qualifying for the Singapore Formula One Grand Prix at Marina Bay Street Circuit on September 17, 2016 in Singapore. 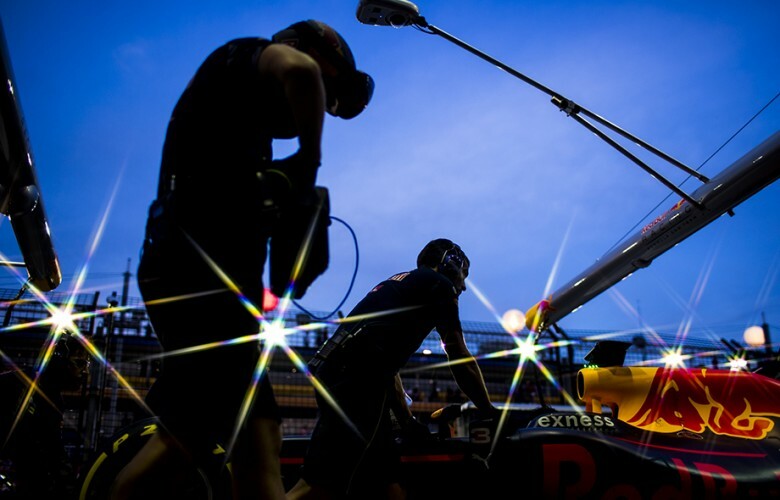 Red Bull Racing mechanics work inside the garage during practice prior qualifying for the Singapore Formula One Grand Prix at Marina Bay Street Circuit on September 17, 2016 in Singapore. Daniel Ricciardo of Australia and Red Bull Racing comes in for a pitstop during practice prior qualifying for the Singapore Formula One Grand Prix at Marina Bay Street Circuit on September 17, 2016 in Singapore. 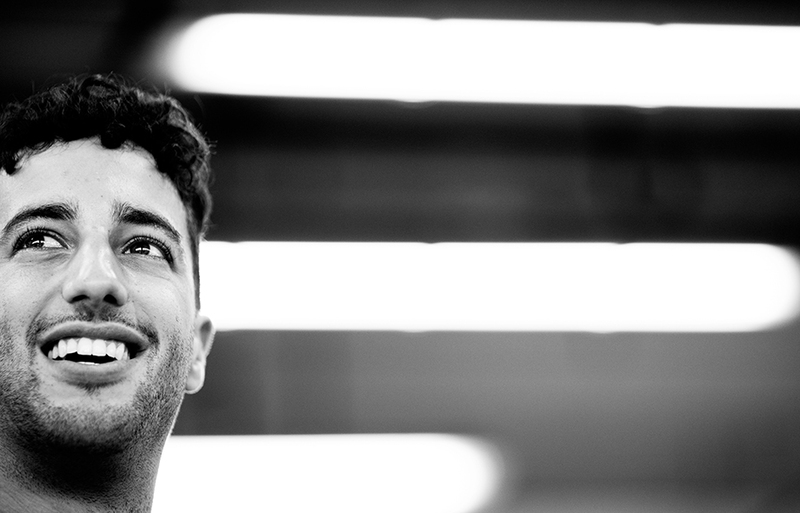 Daniel Ricciardo of Australia and Red Bull Racing smiles on ahead of the Singapore Formula One Grand Prix at Marina Bay Street Circuit on September 18, 2016 in Singapore. 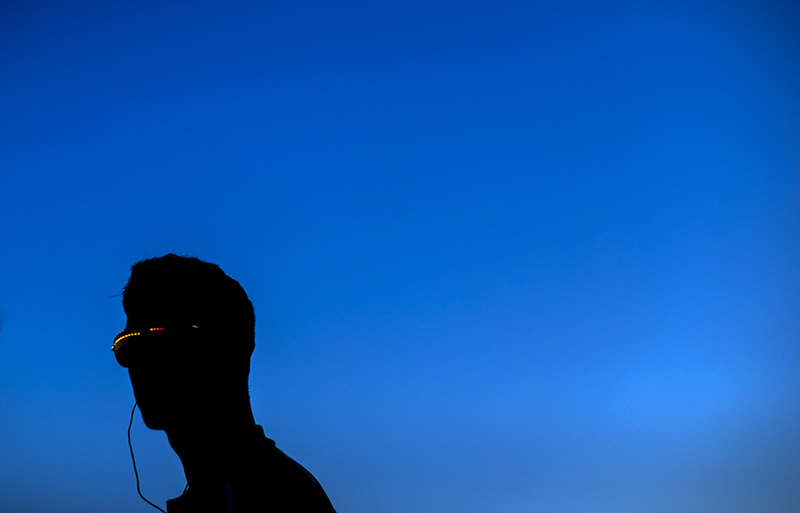 Daniil Kvyat of Russia and Scuderia Toro Rosso is pictured during driver's parade ahead of the Singapore Formula One Grand Prix at Marina Bay Street Circuit on September 18, 2016 in Singapore. 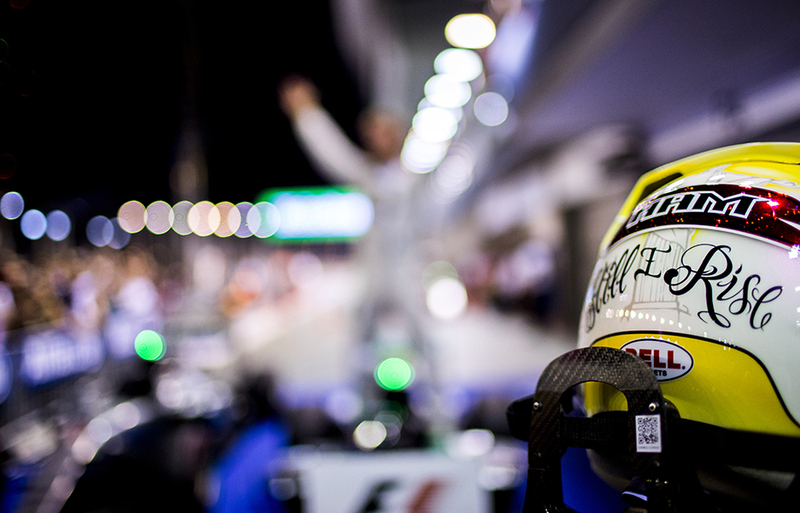 Lewis Hamilton of Great Britain and Mercedes AMG Petronas waves his crowd during the Singapore Formula One Grand Prix at Marina Bay Street Circuit on September 18, 2016 in Singapore. 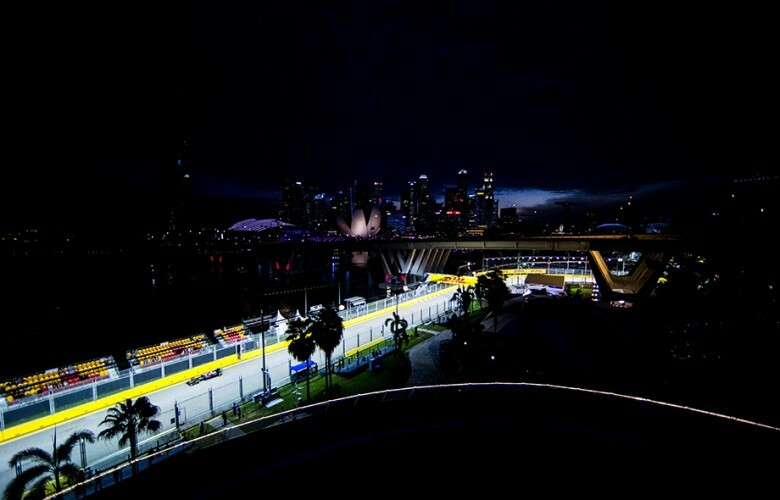 Track marshalls are seen during the Singapore Formula One Grand Prix at Marina Bay Street Circuit on September 18, 2016 in Singapore. 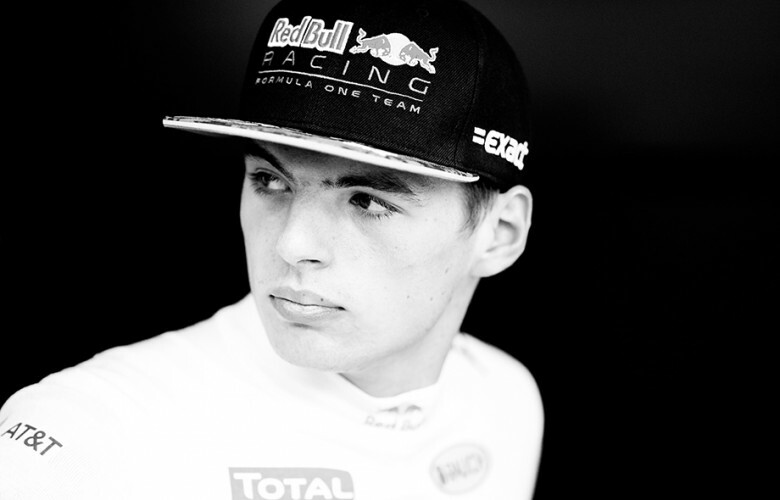 Max Verstappen of Netherlands and Red Bull Racing is seen on the grid prior to the Singapore Formula One Grand Prix at Marina Bay Street Circuit on September 18, 2016 in Singapore. 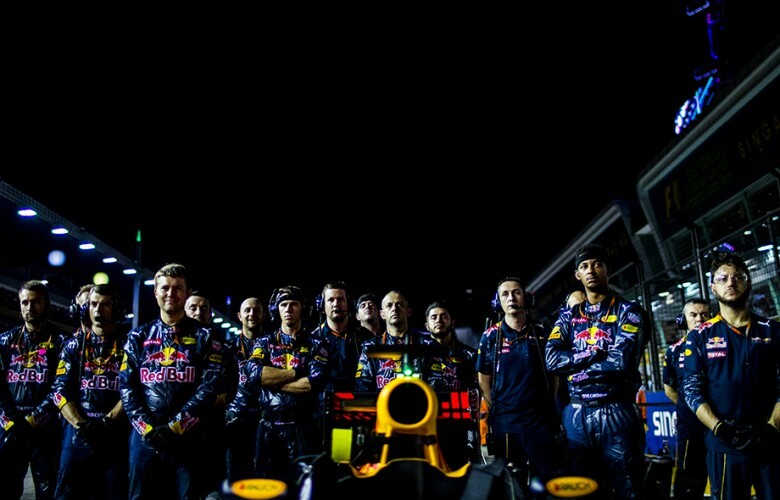 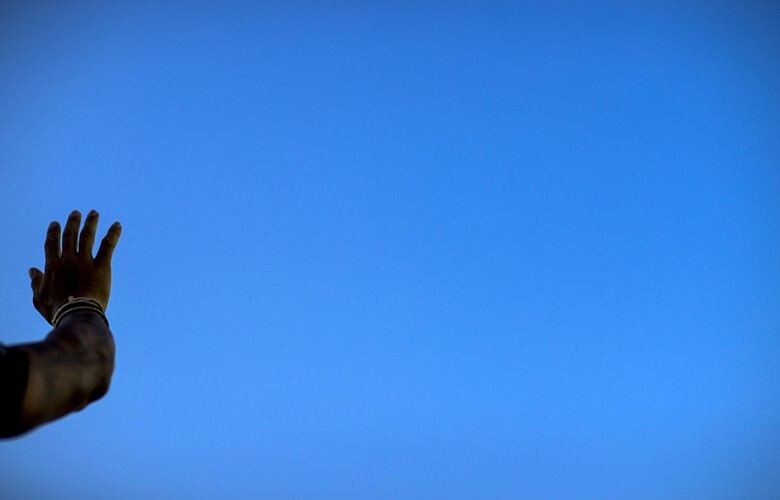 Red Bull Racing team stands for the national anthem ahead of the Singapore Formula One Grand Prix at Marina Bay Street Circuit on September 18, 2016 in Singapore. A detail view of the lid of Daniel Ricciardo of Australia and Red Bull Racing is seen on the grid prior to the Singapore Formula One Grand Prix at Marina Bay Street Circuit on September 18, 2016 in Singapore. 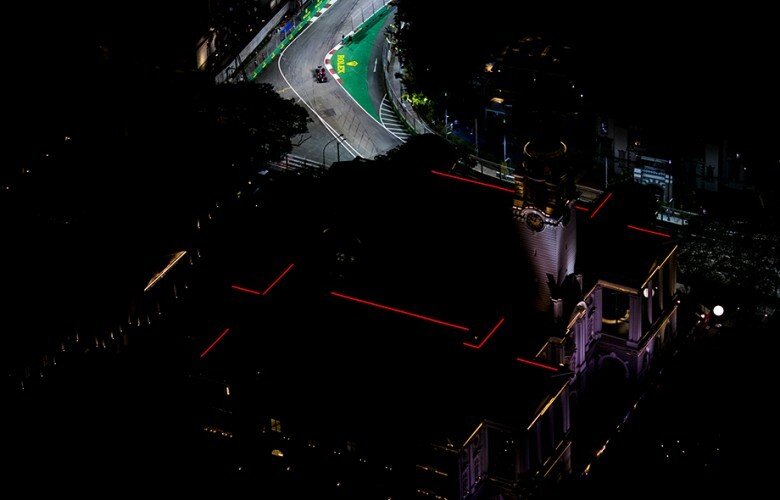 Kevin Magnussen of Denmark and Renault Sport Formula 1 Team drives his RS16 during the Singapore Formula One Grand Prix at Marina Bay Street Circuit on September 18, 2016 in Singapore. 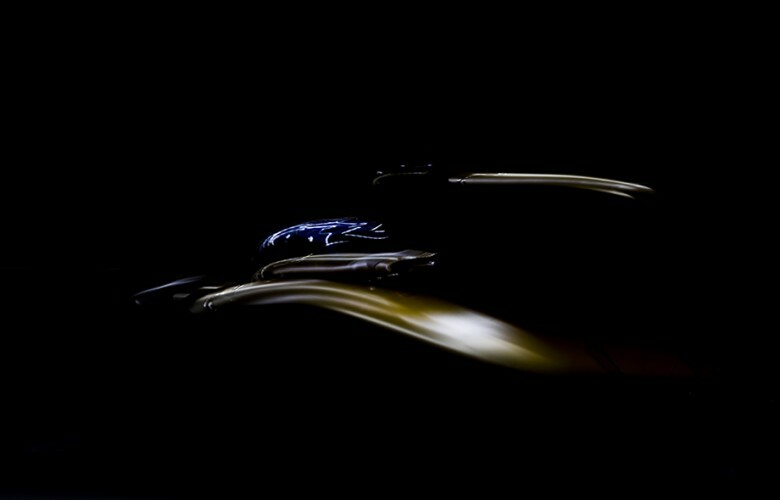 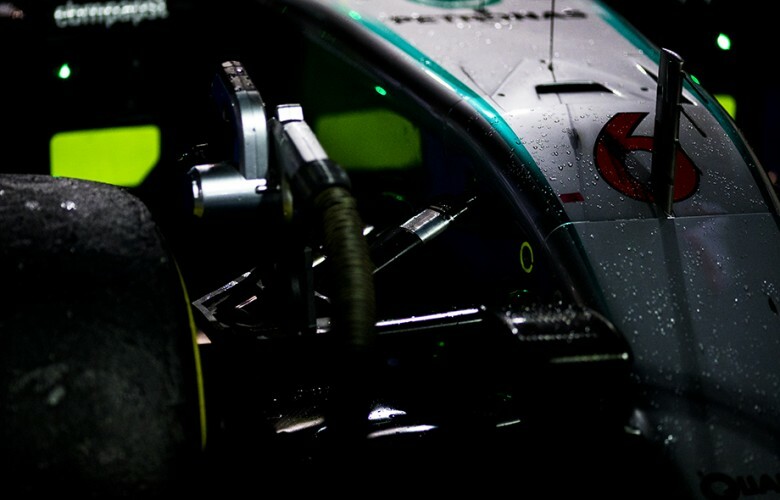 Nico Rosberg of Germany and Mercedes AMG Petronas drives his W07 Hybrid during the Singapore Formula One Grand Prix at Marina Bay Street Circuit on September 18, 2016 in Singapore. 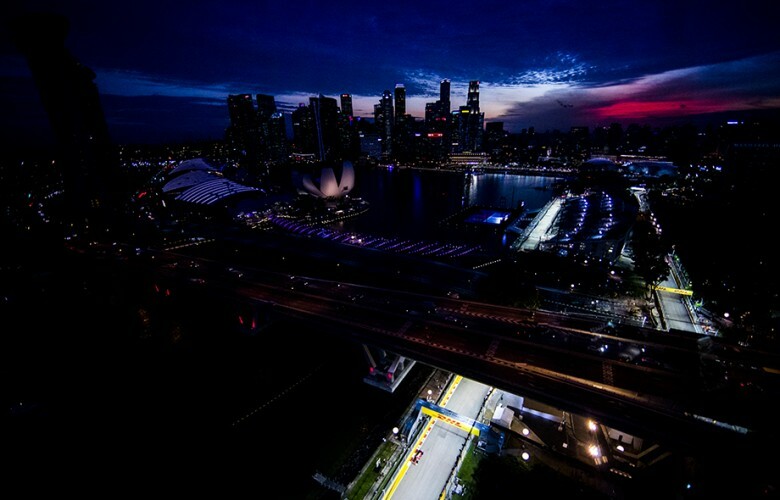 Fernando Alonso of Spain and McLaren-Honda drives his MP4-31 during the Singapore Formula One Grand Prix at Marina Bay Street Circuit on September 18, 2016 in Singapore. 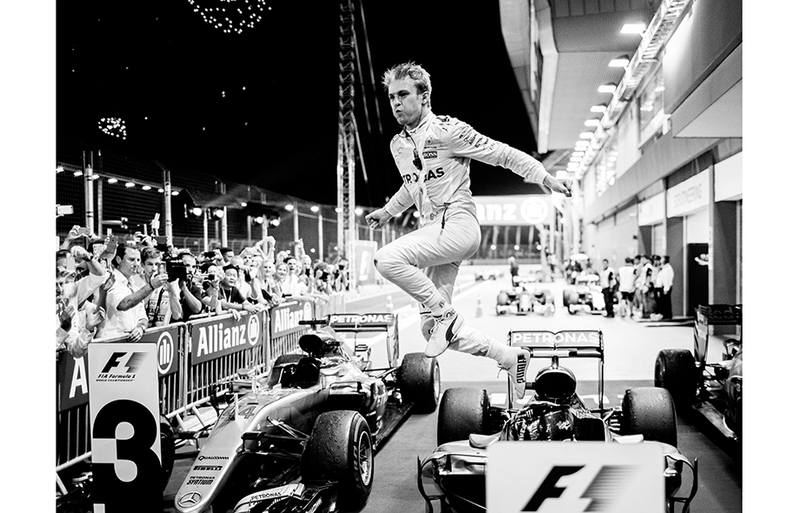 Nico Rosberg of Germany and Mercedes AMG Petronas celebrates his win as his team mate Lewis Hamilton of Great Britain passes by following the Singapore Formula One Grand Prix at Marina Bay Street Circuit on September 18, 2016 in Singapore. 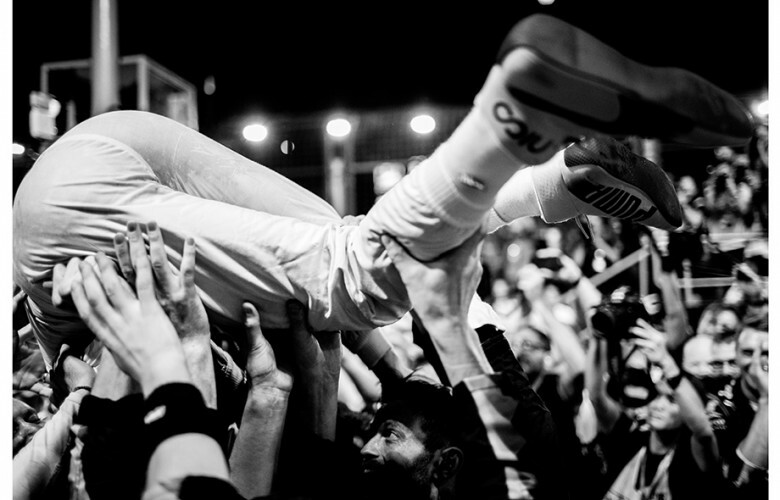 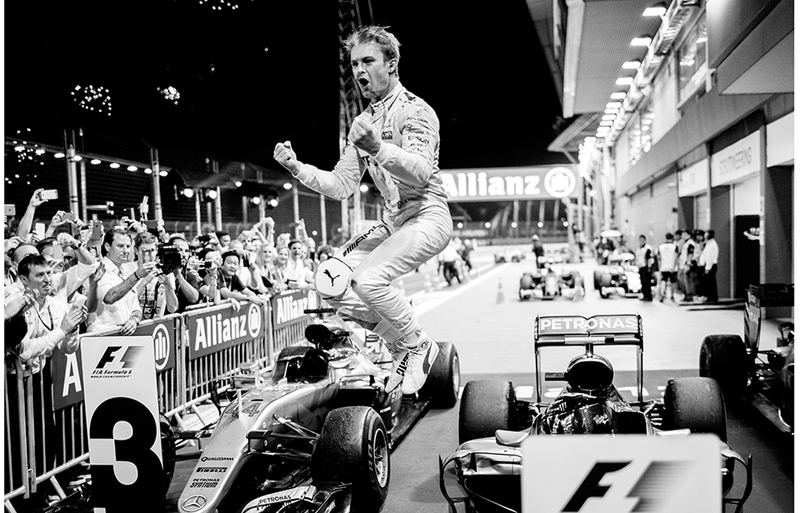 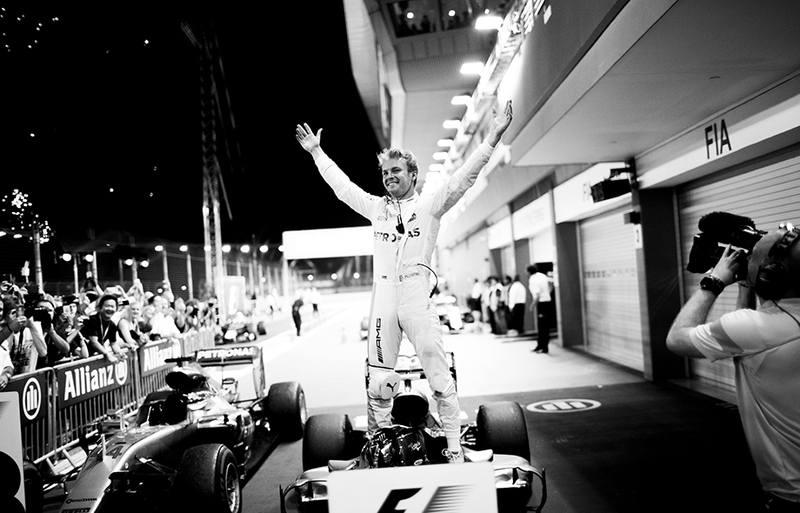 Nico Rosberg of Germany and Mercedes AMG Petronas celebrates after winning the Singapore Formula One Grand Prix at Marina Bay Street Circuit on September 18, 2016 in Singapore. 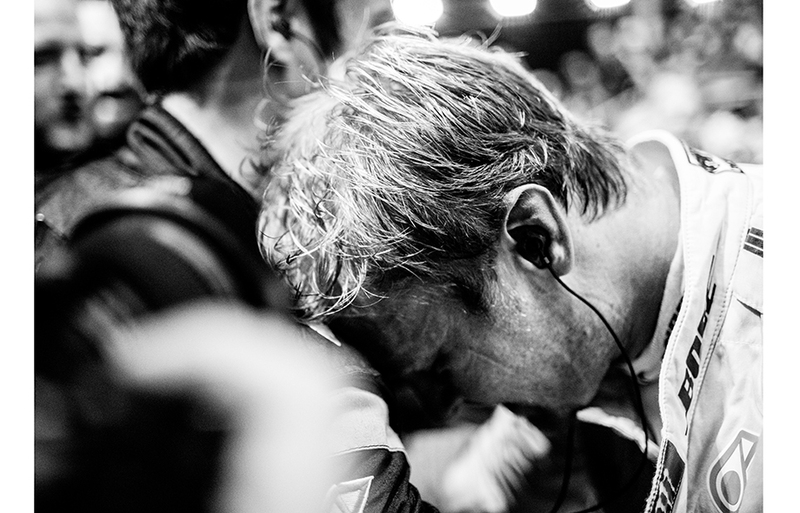 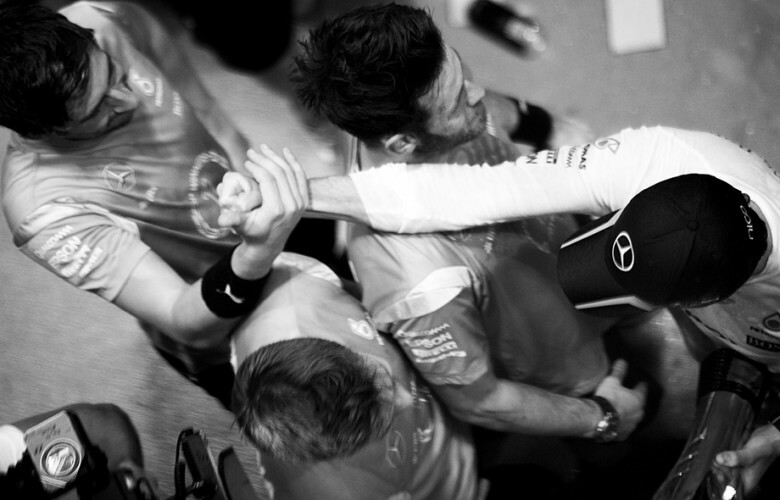 Nico Rosberg of Germany and Mercedes AMG Petronas celebrates with his team following his win during the Singapore Formula One Grand Prix at Marina Bay Street Circuit on September 18, 2016 in Singapore. Nico Rosberg of Germany and Mercedes AMG Petronas celebrates winning the Singapore Formula One Grand Prix at Marina Bay Street Circuit on September 18, 2016 in Singapore. 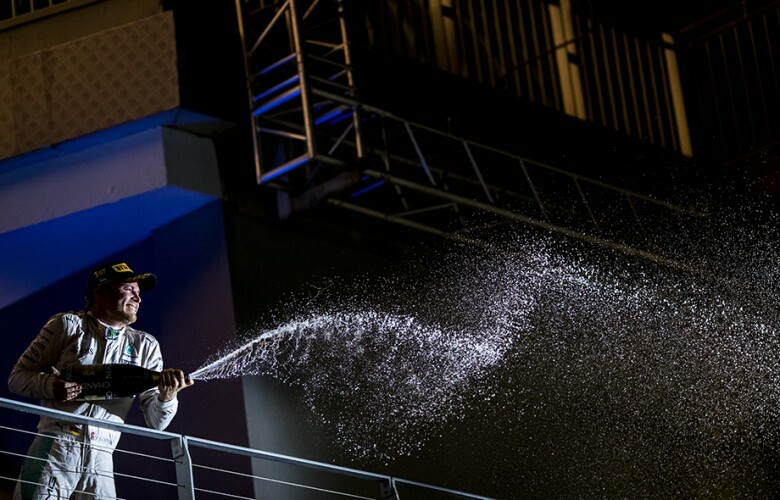 Drops of champagne are seen on the W07 Hybrid of Nico Rosberg of Germany and Mercedes AMG Petronas following his win during the Singapore Formula One Grand Prix at Marina Bay Street Circuit on September 18, 2016 in Singapore.